One of the awesome aspects of happiness is light. In fact, light has kind of a double purpose and meaning in the search for pure enlightenment. Education is definitely one of the facets...while believing in, and following, a higher power is the other. The thing is, is that light goes much deeper in both regards, insomuch that people often forget about it. How many times have you seen the sign in someone’s house, or at a cozy establishment, or even at the store, that says “Love, Life, Laughter?” What? What happened? Where is the Light? Why have we, as a human race, forgotten that light is just as important, if not more, than the other “Ls,” when it comes to finding happiness? But they cannot take away your education. It is a part of you. You have spent a good deal of your life learning and learning. What have you learned? Is it something that others can, or would like to, learn? Can you learn more about it? Can you enhance it? Can you live it? Will you share it? How often does the light go off in your head? What do you then do with that light! Believe it or not...well, no, you better believe it. An integral part of finding happiness is believing in a higher power out there. For those of you who don’t want to call it by the name God, that’s OK...call it “the universe,” or the “greater power than ourselves.” It DOES exist and if you do not call upon it in your daily lives, then you are cheating yourself out of FULL joy, FULL peace, and FULL happiness. 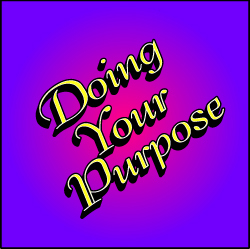 Finding Happiness in "Doing Your Purpose"
Another feature of light is “Doing Your Purpose.” This part coincides with part of the LIFE process. YOU know...finding out who and why you are and sharing it with the world. If you are not doing what you are SUPPOSED TO be doing, then you cannot be totally in line with the pursuit of happiness. Whether using education or your higher power...or both, you have been endowed with gifts, talents, and resources that can help others better their lives. Plus, if you do it right, you can also make money doing it! But wait! There’s more! Let me educate you!! It’s amazing to see how unified the 4 Ls are when they synergize with each other to make you happier than you could have ever been without all of them together. I say this because part of light is having character and integrity. And it is impossible for someone who does not love themselves to be fully trustworthy...with themselves or with others. Part of finding happiness is being honest with yourself, living without guilt or fear, and enjoying the peace that accompanies your righteous ethics and honorable actions. Here, in the LIGHT part of being happy, you will learn how to learn better, how to rely on things that you have ALREADY learned, and how to use your education to inspire and help others. You will also receive some tips on how to get closer to "the" higher power in YOUR life; how to find, create, and live your purpose in life by writing your own personal mission statement (a gift to you); and you will find a great TIP in life for living in Trust, Integrity and Peace. These these help when you are finding happiness. Think of the rush you can experience when you become "one" with the universe, become "one" with yourself, become "one" with others. At the same time finding out that one of the INSPIRATIONAL ingredients of happiness is light.